KATHMANDU, March 28, 2019 – The CEO of the Multilateral Investment Guarantee Agency (MIGA) and two World Bank Group Vice Presidents will join development banks, ambassadors, and hundreds of investors from more than 30 countries at the Nepal Investment Summit on March 29 and 30. The Summit aims to help attract private financing for key infrastructure projects as Nepal undertakes new regulatory reforms. 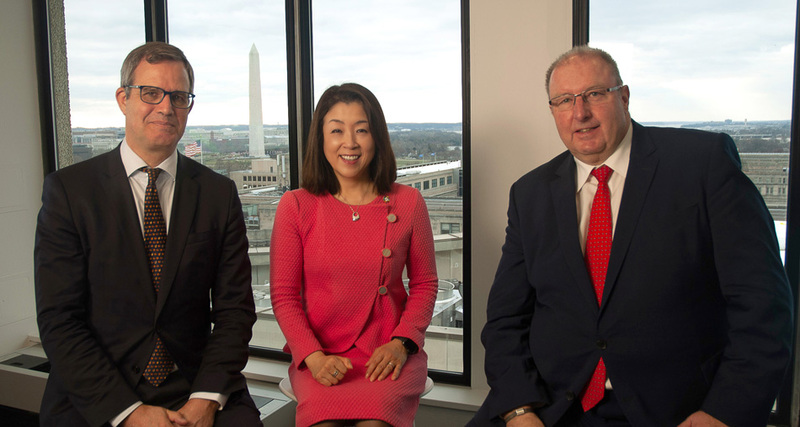 The top three Bank officials are: Keiko Honda, Executive Vice President and CEO of MIGA; Hartwig Schafer, Vice President of the World Bank’s South Asia region, and Hans Peter Lankes, Vice President, Economics and Private Sector Development, International Finance Corporation (IFC). The three World Bank Group representatives will discuss the Bank’s support for Nepal with Rt. Hon. Prime Minister K P Sharma Oli of Nepal and Finance Minister Yuba Raj Khatiwada. Schafer will speak at the Summit’s inaugural session on March 29. Lankes and Honda will deliver special addresses at March 30 sessions on international experience-sharing and financing infrastructure, respectively. In Nepal, the World Bank Group (WBG) includes the International Development Association (IDA), the concessionary lending arm; the International Finance Corporation (IFC), the private sector arm; and the Multilateral Investment Guarantee Agency (MIGA), the investment risk insurance arm. The World Bank currently supports 25 active investment projects in Nepal with $2.6 billion in commitments from IDA and trust funds of which a significant portion is for policy reforms in the areas of fiscal decentralization, the financial sector, and the energy sector. The indicative resources available under IDA18 (FY2018-2020) are about $1.39 billion, including $300 million from the IDA Risk Mitigation Regime. IFC aims to commit about $800 million to $1.2 billion over the five-year period (FY19 to FY23). MIGA is actively seeking opportunities to support foreign private investment into Nepal. IFC Nepal focuses on private sector development through provision of financing and advisory services to companies to boost their competitiveness, while expanding financial inclusion and delivering sustainable infrastructure solutions. IFC’s current portfolio in Nepal is $57 million. The budget for advisory support aimed at creating bankable projects and building capacity stands at nearly $16 million. The World Bank Group (WBG) fielded its first economic mission to Nepal in 1963 to assess the country’s development prospects and challenges. It approved its first credit in 1969 for a telecommunications project. Since then, the World Bank has provided Nepal $4.75 billion in assistance ($3.48 billion in credits and $1.27 billion in grants).